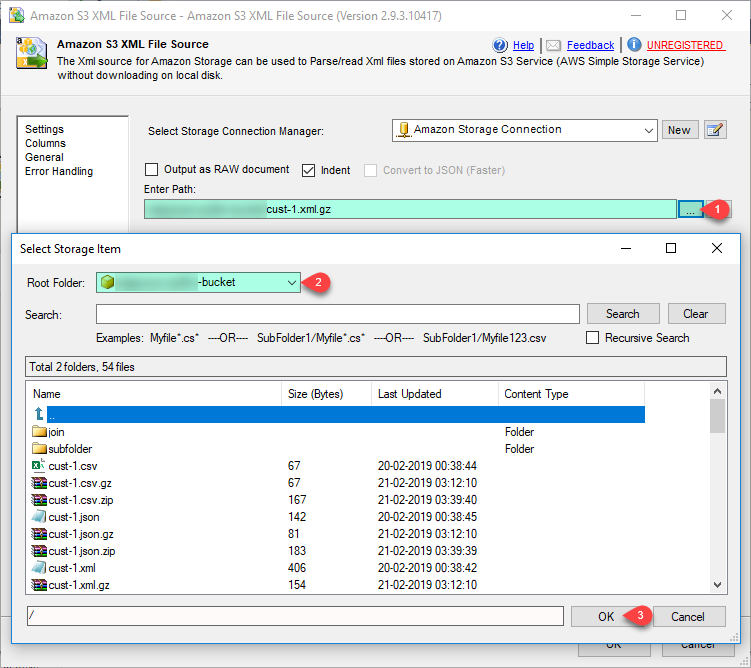 SSIS Amazon S3 Source for XML File can be used to read XML files from Amazon S3 Storage (i.e. AWS S3 Service). You can extract data from single or multiple files (wildcard pattern supported).